if we consider this initiative works in a McDonald's USA with fewer and fewer McOpCos. For decades McOpCo profits were an important factor in McDonald's corporate earnings. would hurt McOpCo as much as the Operators. It's likely that in the future McDonald's Operators will be confronted with many promotions and initiatives that only build sales and would have never seen daylight ten years ago. 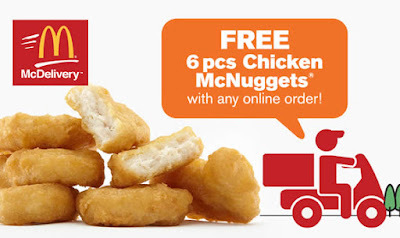 Ordered free 10pc nuggets (it was a one day deal in my market) on UberEats yesterday to see how it worked as a customer- although it said "limit one per order", Uber's app let me add 3 to my order, pay and everything. I didn't have to order anything else- just paid the delivery fee and was expecting 3 orders of 10pc to arrive based on what the app confirmed. 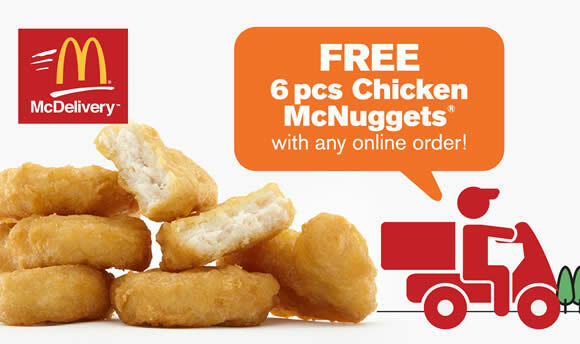 Waited patiently for my order to arrive and excited that it let me order 3 of these but when it showed up, only 1 order of nuggets in the bag. No warning whatsoever because the app showed that I ordered 3 10 pieces and that they were on their way. I know it only said 1 per order so I'm not surprised but if random customer is able to order 3 in the app and only 1 shows up, what's the likelihood of getting a complaint? Also, is UberEats collecting a sales commission from the operator off of my free order? Why put out offers that the technology simply can't handle? Is the goal to upset customers? It's just like every other MCD technology piece- crap- but this time we're paying a commission of 10-25% to do it. They have carved the Heart & Soul out of this business and ATE it. They want more kid business, then Fire Ronald McDonald. They want faster D/Ts, then add to the McCafe menu and Add fresh beef. They want higher Cash Flow, then add Labor to the Dining room to teach people how to use a Kiosk, and do table service. They want better Operations, then let Operators grow to 20, 30, 40 & 50 Stores. They want us to give Table Service, yet I would be happy to have people just to give Service. They want Better Advertising, but Create an Ad Agency from 2 Old Dried Up ones. They want delivery, then saddle operators with fees that guarantee we lose money on the delivery. Of course, McOpCo may have their own deal with Ubereats?